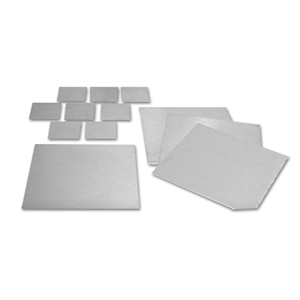 Small: The set consists of 14 pieces of 33 x 33 mm filters of different thicknesses. 6x1 mm, 2x0.5 mm, 4x0.1 mm, and 2x0.05 mm. Large: 100 x 100 mm filters are also available for use with larger ionisation chambers.